Note: This is not a Humor post. This is a review about a film that caught my attention recently. Humor posts will continue. This is a Chrony-break. Korean Movies have always had a special place in my heart. No Artificial acting. No super hero stunts. No punch dialogues. Most of the South Korean Movies present nature of life in a realistic way. 6. The class room scenes which pulled me back to my school days. 8. I was reminded of Renu when I saw this film. Most of you might not have seen the movie; Most of you would not even care to see this movie. This post would give you a literal taste of this movie. 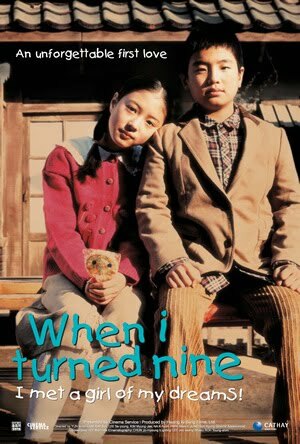 The movie takes us to the 1970s in Korea.Yeo-min (Kim Suk) is a nine-year old boy in third grade. He has so many things to take care of. He must defeat ‘black swallow’ ( the villain kid) who is picking on other kids, share his lunch with Gi-jong ( his best friend) who lives with only his sister, and sell ice cream to save enough money to buy sunglasses for his mother (she has poor eye sight). In short, he is the dependable son for his poor parents, and a cool, tough guy at school. He’s good at dictations and knows the multiplication table by heart. The movie travels in a simple and funny phase until a proud and haughty girl named Jang Wu-rim comes from Seoul to his class, and his life that was so peaceful turns into turmoil. He feels his heart fluttering in a way he has never known before. He asks his friend for some advice but he is too busy with his own love life. So Yeo-Min writes a Love letter to Wu-rim. His teacher takes the love letter he had written and now everybody knows about it. His love life keeps turning for the worse until finally he gets accused for stealing Wu-rim’s money. Wu Rim ill treats Yeo-Min through out the movie, but Yeo-Min shows to all the men in the world the meaning of the word "Gentleman" through his calm and composed forgiving attitude.In the process Wu-Rim accepts Yeo Min as her best friend,and just when he tries to propose to her once again he realises that she is moving back to Seoul the next day. Although both of them could not see each other again, they still remember each other. Yeo-min notices a parcel that Woo-rim has left for him. A pair of glasses for his mother was inside the parcel along with a letter. The tear drops that flow along his cheek line when he finds out that Woo-Rim was also in love him with , would make everyone to shed tears. The dialogues in the movie are so strong that every one of us could relate to it. The story seems to be really cute! Thanks for sharing this, will try catching this one too. Cheers and btw i love your write-ups really lot. Little manhattan is another nice movie about childhood romance. 2. Old boy: do i need to say? 4. My sassy girl: beautiful romantic. will watch this if i get a chance. N.B. : can it be downloaded on youtube or torrent ? Beautiful post! And yes, I so wish that all those facets you mentioned as being part of Korean films are a part of some of our films. @tequila : my wife is a gansgsta is indeed funny..
thrilled to know that you have seen Old boy and sassy girl.. I agree that sasse girl is one sould cruncher of a movie indeed. Tale of two sisters - i haven't seen this movie.. gotta catch up on it..
@Anwesa : torrent it down.. on youtube, it is available without sub titles..
@Srini : you would be watching more of these movies once you come to this part of the world..
Will Google it Soon ! Hi Chiz, it was a nice movie. Thanks for the suggestion.What I loved about the movie is the way the director has depicted things without trying too hard yet it conveyed all he wanted.